How to remove duplicate tracks in iTunes? 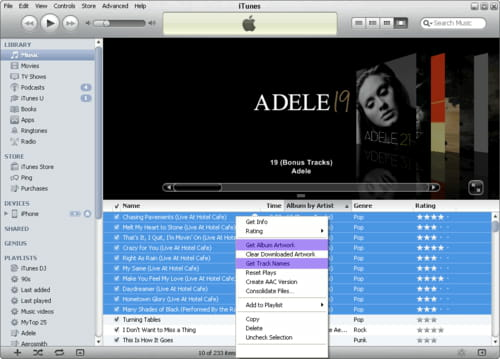 The iTunes software allows users to manage data on the iPhone, iPod and iPad devices.The data can be music or other multimedia files and if they are not managed properly, duplicates of the same track may exist. It is possible to display and then remove duplicate tracks in the iTunes library to save memory. Duplicates can also be sorted by date if there are too many of them in the library. It is quicker to remove multiple duplicate tracks in iTunes by selecting more than one row at a time. 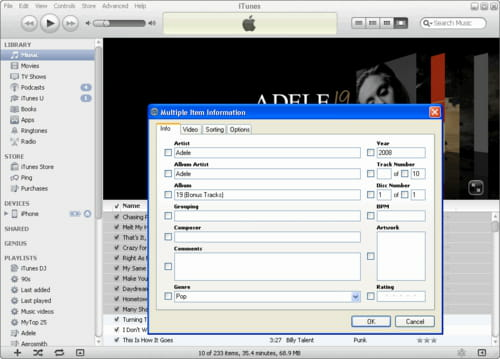 iTunes also allows the user to add artwork and tags to songs that do not have them. This will display all duplicate tracks. Select multiple tracks by holding down the CTRL key then you can delete them from your library. If you have got hundreds of duplicates in your iTunes library, you can sort them by date. Duplicates were usually added at a later stage, therefore it is likely that they are now displayed consecutively. Select the first and last duplicate file by holding down the Shift key and remove all duplicate files from your iTunes library. If you didn't purchase music in the iTunes Store, e.g. you imported tracks from CDs, it may be that tags and artwork are missing from your tracks in the iTunes library. In iTunes you can add artwork and tags automatically. Select the songs you want to update or select all of your tracks with "Ctrl. + A". Click on the right mouse button and choose "Get Album Artwork" or "Get Track Names". iTunes will start searching for corresponding tags and artwork online and will automatically add them to the selected tracks. Note: This doesn't always work out the way it should and sometimes it will be necessary to add the information manually. Just search for artwork online and save it to your desktop. 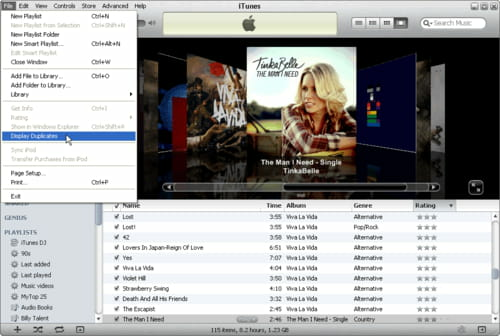 To add the artwork to an iTunes album, select the album and choose "Get Info" from the menu of the right mouse button. Now you can modify and add tags like Artist, Album Artist, Album, Year, Track Number, Composer, Artwork, Rating, Genre, Show, Season Number, Media Kind etc. Published by deri58. Latest update on November 3, 2012 at 04:58 PM by Jean-François Pillou. This document, titled "How to remove duplicate tracks in iTunes?," is available under the Creative Commons license. Any copy, reuse, or modification of the content should be sufficiently credited to CCM (https://ccm.net/).